extraordinary story of the bonds of family and an unconditional love. 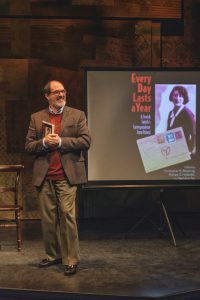 In a nutshell, The Book of Joseph concerns itself with the story of Joseph Hollander, a Polish immigrant who happens to be Jewish, and his correspondence with the family he left behind during World War II, as the Nazi Party took over most of Europe. The story is told by his son, Richard, as he discusses the book he wrote about these correspondences he discovered after the death of Joseph. The thing is, it took years for Richard to read these correspondences because of the fear he had of what he might find out about his family after noticing the Nazi emblems on the letters in his father’s briefcase. Richard had managed to tell the story with kid gloves, glazing over the horrible parts and concentrating on the good parts, while possibly adding a bit of his own optimism. However, Richard’s son, Craig, is determined to get the truth about what happened, even if it means facing a darkness that has been hidden within the family. 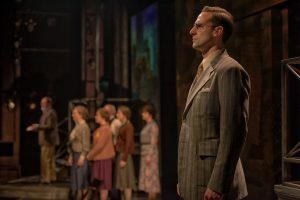 Daniel Ettinger’s Set Design is, once again, impeccable, and helps move the story along nicely allowing for easy exits and entrances with thoughtful use of projections and dark colors to express the poignancy of the story. The turntable that takes the audience from one setting to the next is clever and makes for smooth transitions between scenes. Ettinger has created yet another successful design. 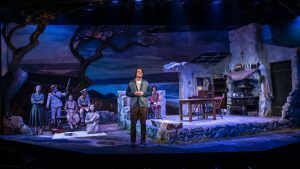 Working in tandem with the Set Design, the Sound Design by Elisheba Ittoop and Lighting Design by Cory Pattak is superb and sets the mood of not only entire production but each scene as well. Pattak uses rays of isolated light and subtle dimming of light to represent the dreariness and uncertainty in the story as well as brightening to express the more uplifting points. Working with the lighting Ittoop’s sound design blends perfectly into the production and may not be noticeable until she wants you to notice it which makes for an intelligent design. Her original compositions are faintly heard in the background during certain scenes, but are fitting and well-thought out. Together, these aspects of light and sound do not hinder the production and performances but enhance and help them along. David Burdick rarely disappoints and his Costume Design for this production is no different. His attention to detail is immaculate and, being a period piece that requires a specific style, Burdick’s design is spot on. His choice of wardrobe for each character gives them an individuality and the modern and bygone era styles are presented flawlessly and transitions smoothly from one scene to the next. 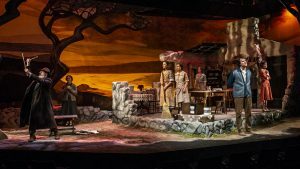 Kudos to Burdick for his work on this production. 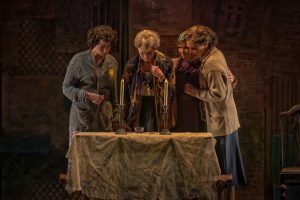 Noah Himmelstein takes the helm of this superb production and presents the story clearly with a focused vision. It’s obvious he has a great comprehension of the text, the characters represented, and the message of the story. 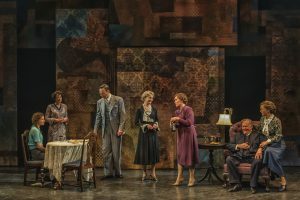 Himmelstein has amassed a balanced, well-rounded cast with a chemistry that is second to none and his staging is engaging, making for spot on pacing that is just about perfect. 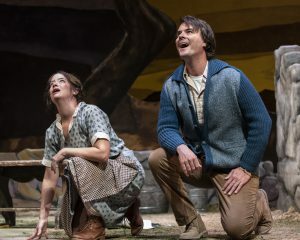 Himmelstein should be applauded for his impeccable work on this production. 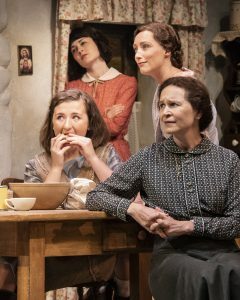 Commenting on the performance aspect of this production, it’s worth mentioning that, according to this story, the Hollander family is a family driven by strong women, with Joseph being the only male amongst supportive females. Hellen Hedman as Berta, the matriarch of the Hollander family, plays her character as a woman who has an unencumbered faith in family and puts on a show of strength for her daughters and only son. Hedman is comfortable with her role and plays it with confidence. In the same vein, Bari Hochwald plays Mania, the eldest sister, and she plays it in a way that makes this character relatable to anyone who has an older sister, like myself. She seems to portray this character as an obligated caretaker, as many eldest children feel, having a nice blend of being both strict and stern as well as compassionate for her family. 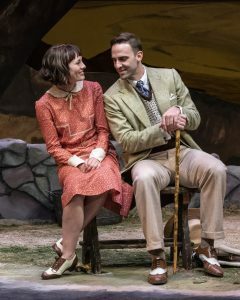 The match with Everyman Theatre Resident Company member Wil Love as Salo, her husband, is brilliant and Love’s portrayal of a loving and supportive husband with a gentle demeanor is believable and charming. Arnold, and the young, optimistic, and hopeful Genka. 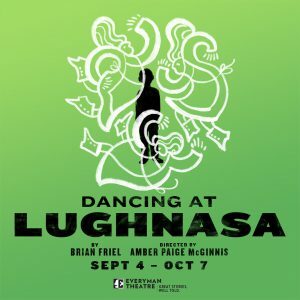 Two highlights in this production are Everyman Theatre Resident Company members Megan Anderson and Daid Gavigan. 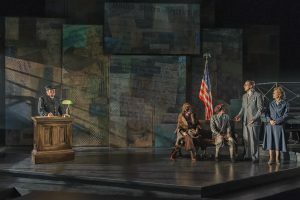 Anderson takes the roles of Dola, Joseph’s sister to whom he seems to be closest, and Vita, Joseph’s second wife and lifelong love, and Gavigan takes on the titular role of Joseph, the man who kept correspondence with his family and tried to help them immigrate to the United States for as long as he possibly could. Anderson brings her usual energy and confidence to her roles that make her a joy to watch and she has a tight grasp on her strong, independent characters making for a remarkable performance. Gavigan, too, understands the nuances of his character, a conflicted and worried young man who is desperate to help his family. He has a good presence and is confident in this role and it makes for a fantastic performance that is the backbone of this production. 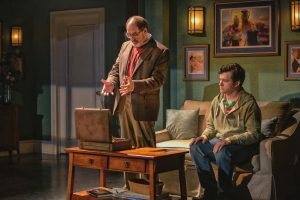 Rounding out the cast are two more highlights – Elliott Kashner as Elliott, Joseph’s grandson, and Everyman Theatre Resident Company member Bruce Randolph Nelson as Richard, Joseph’s son. 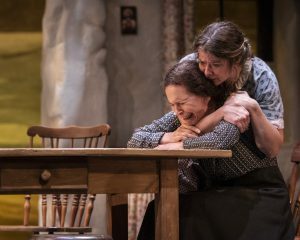 Both these actors bring the modern into this production amidst the flashbacks and memories and they do it seamlessly and they both have a deep comprehension of their characters and the text. Nelson brings a certain levity to this poignant piece that fits in perfectly without making a mockery of the story and his rollercoaster of emotions is clear making for an authentic performance that is a delight to experience. Kashner, who enters later in the piece, is absolutely believable with a great mix of flippancy that makes you want to smack him, a yearning to know his own history, and a compassion for his father. He has a confident presence on stage and it makes for an admirable performance, overall. 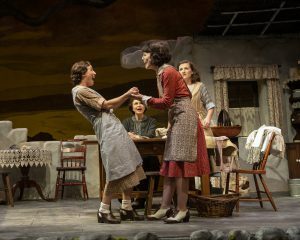 Final thought… The Book of Joseph is a poignant, heart-wrenching look into the life of one family during the turbulent and uncertain times during WWII. The story is well framed and structured even though it hops through time, it’s easy to follow in the way the script is laid out. It’s a story that incorporates hope, regret, love of family, survival, and moving on under extreme circumstances. 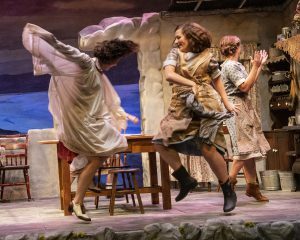 It also has a certain amount of levity mixed in with the tragedy that gives the audience emotional peaks and valleys that make for great theatre. It reminds us of the untold stories of war and strife that don’t come to light until years later when those involved are long gone and we only have letters and documents to put the pieces of the past puzzle together. 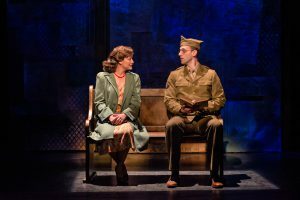 The performances are extraordinary and the script is well put-together making for a thoughtful and entertaining production as a whole. Once again, Everyman has not disappointed and you don’t want to miss this final production of the 2017-18 season. This is what I thought of Everyman Theatre’s production of The Book of Joseph… What did you think? Please feel free to leave a comment! 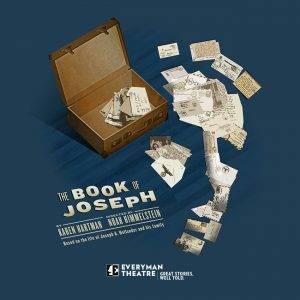 The Book of Joseph will play through June 10 at Everyman Theatre, 315 W. Fayette Street, Baltimore, MD. For tickets, call the box office at 410-752-2208 or you can purchase them online.